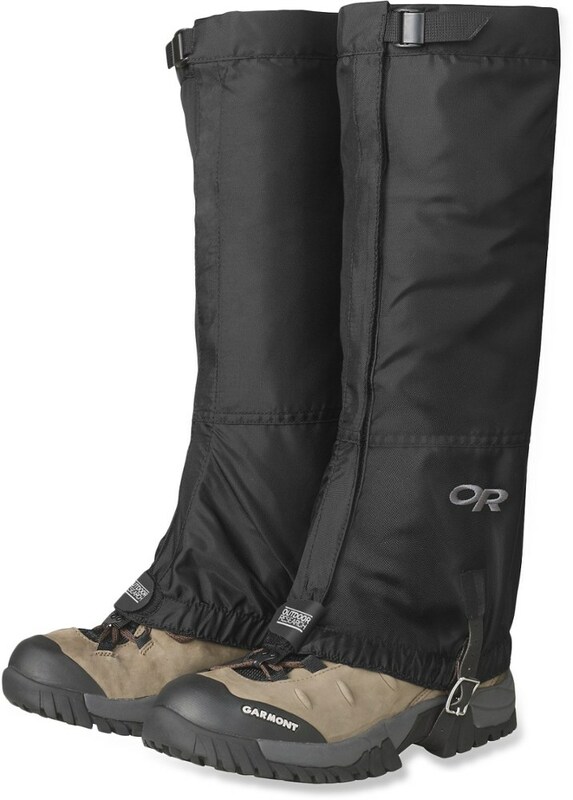 Study gaiters for all of your trudging needs! They keep snow and mud out, stay in place, and repel water. Only drawback, sweaty calves. 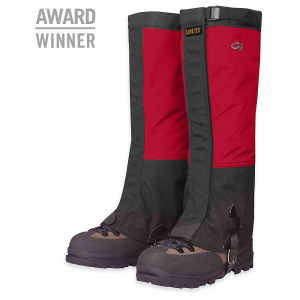 Water Resistance: These gaiters will keep you legs dry as you hike through deep snow, or hop over small streams. The front Velcro seam is water tight. Breathability: You're not going to get much in the way of ventilation here. They keep moisture out, and they keep sweat in. Warmth: Very warm. I take these out into snowy conditions with rainpants and a thin base layer and I'm all set/sweating. Layering: Go for it. It's a tight squeeze under snowpants, but if you're committed you can do it. 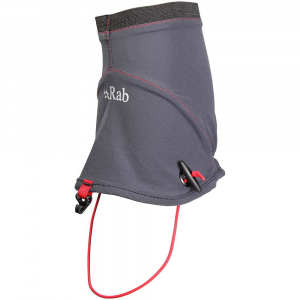 Function/Ease of use: Straightforward—it might take you a few tries to get the Velcro 100% flat, but that's the price you pay for water tight gaiters. Construction/Durability: A+. I have only had these for one season. I think I will have them for a long time. Conditions: I've used these hiking just after heavy snow falls, fat biking on old snow, and in heavy mud after a thaw. Very flimsy. Not worth buying. The stitching busted on mine after 3 tramps — the stitching holding the elastic on came away and the under boot strap came away as well. The nylon lower fabric is not tough enough to come with rocks — mine already have holes in them. 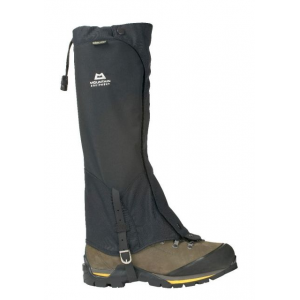 I had some Mother Karen gaiters years ago, which had a waterproof bottom and a breatheable top. They were perfect for cross country skiing or for hiking in wet brush. Well, they wore out eventually, and I didn't buy any gaiters for a long time. 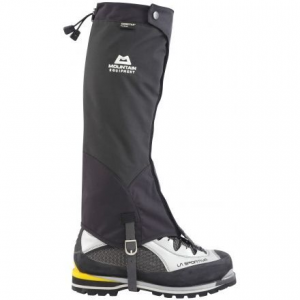 I now have the Outdoor Research Rocky Mountain High Gaiters. 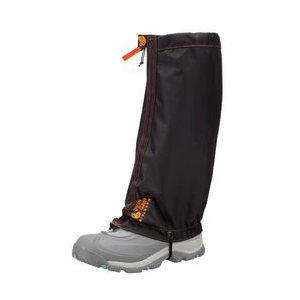 They also have waterproof nylon over the boot part, and breathable nylon up to the knees. The nylon they're made of is a bit sturdier than my old gaiters. 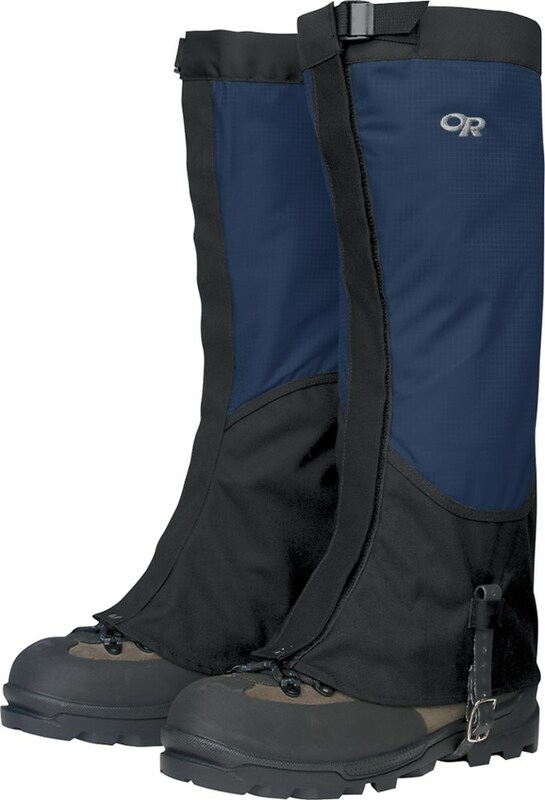 The tie under the boot instep is made of flat nylon, which you tie to two grommets. Probably more sturdy than the tie on the Mother Karen's gaiter, which was stiffened nylon with a plastic clamp, but harder to adjust on the fly. The Mother Karen's closed with a zipper on the outside of the leg; there was a left and a right. This one has a Velcro closure. 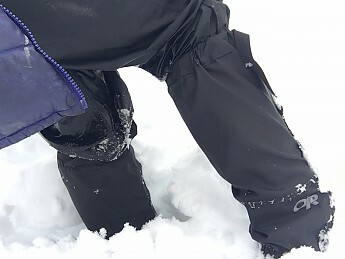 The gaiters worked fine the first time I tried them (Minneapolis has a foot of snow now), but might not be as durable as my old ones in the long haul. All in all, a good gaiter for the money.